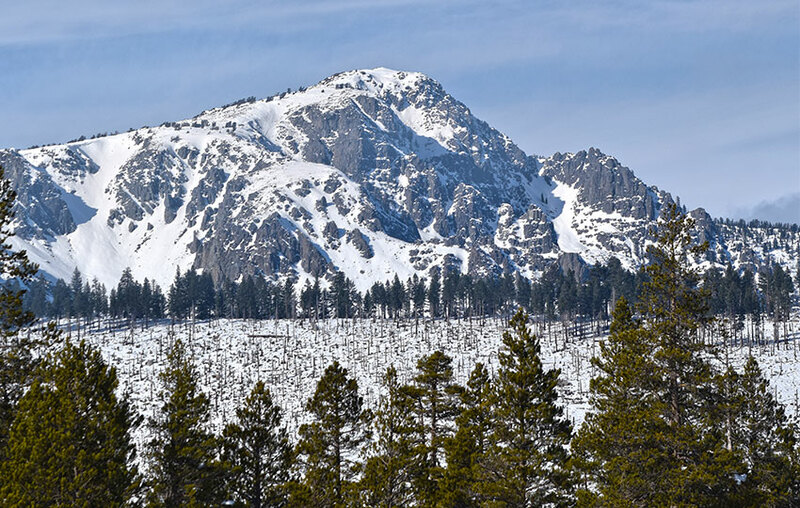 Washoe Meadows State Park is a fantastic location for cross-country skiing and snowshoeing when Lake Tahoe experiences a big snow winter. The park is only a couple of miles from the “Y” (HWY 50/SR 89 intersection) in South Lake Tahoe, and features a great mix between meadow and forest. Also, the majority of terrain in the park is flat, making the location a perfect training grounds for beginner cross-country skiers and snowshoers. The drawback to this park, however, is that it is basically at lake level so it takes a while for enough snow to accumulate in order to accommodate cross-country skis and snowshoes. One other aspect that makes this park a challenge to access in the winter is the lack of parking options. Essentially you’ll have to park on the side of the road, so plan to visit during good weather conditions (i.e. wide enough shoulders along the road in which to park safely and legally) and when snowplow operations are not underway. Click on the above map to enlarge it for better viewing and printing. This map is only for reference and shows the general route through Washoe Meadows State Park. There is a short loop at the end of this route, but essentially it’s an out-and-back journey. Always carry a traditional topographic map and compass when traveling in the backcountry. Parking for Washoe Meadows State Park during the warmer months is relatively simple. Just park near the Forest Service gate located on Lake Tahoe Blvd 2.5 miles west of the “Y” intersection of Highway 50 & State Route 89 in South Lake Tahoe. This gate is just west of Sawmill Pond and Tahoe Mountain Road, near the Lake Valley Fire District Station. The actual gate is set about 100 meters back from the road in the trees. During the winter, however, the area directly in front of the gate at the north end of Washoe Meadows State Park is not plowed. So, you’ll have to be a little more creative. Mostly this entails parking across the street along Tahoe Mountain Road. There are a handful of Forest Service gates along Tahoe Mountain Road and often the areas directly around them are plowed. Therefore, I recommend parking near one of them (but don’t actually block the gates) and making your way to the state park on foot. I understand the options for parking at Washoe Meadows State Park during the winter are not ideal and not predictable. 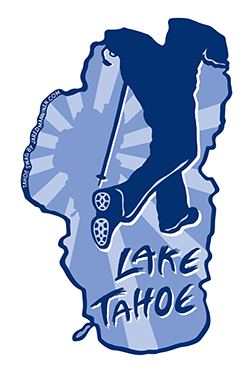 However, parking in the winter at Lake Tahoe just about anywhere is problematic, so try to be flexible. The bottom line is that you don’t want to end up being cited with a parking violation because you were parked illegally (too far into the roadway and blocking traffic or parked on the roads while snowplow operations were underway) or you simply got stuck trying to pull too far into the snow to be safely parked off of the streets. Here’s a map to assist you in finding Washoe Meadows State Park. The parking area for accessing is on the north end of the park, essentially at the intersection of Tahoe Mountain Road and Lake Tahoe Boulevard. Remember, the winter adventure featured on this post begins on the northern end of the park. Begin your winter adventure through Washoe Meadows State Park at the trailhead on Lake Tahoe Boulevard, between Tahoe Mountain Road and the Lake Valley Fire District Station. In the summer, this trail is about as straightforward as they come at Lake Tahoe. You would just hike along the hard-packed sandy walkway and travel through the forest and meadows, occasionally crossing some short wooden bridges. During the winter, however, unless the trail has been tracked out prior to your arrival, you’ll be breaking your own trail. This is not the worst thing in the world and, in many respects, should be expected. I break trail all of the time and it’s one of the reasons why I love winter so much. You don’t have to stay between the lines when you’re looking across a field of snow. That said, in order to get the full amount of miles featured on this route, you’ll need to stay along the standard trail through the park. Through the sections of the meadows it’s pretty easy to navigate, but this is not necessarily the case when traveling through the forested sections. If you’re breaking trail and are not familiar with the park, my recommendation is to let go of your mileage expectations and simply enjoy being out in the snow. Travel as far south as you are comfortable with, and then return along the same tracks. An interesting footnote about Washoe Meadows State Park is that filming for Top Gun 2: Maverick occurred in the park December 7-11, 2018. Tom Cruise was onsite and filming scenes for the long-anticipated sequel to the 1986 blockbuster, Top Gun. See the map above for the specific location in which the movie was being filmed. Follow this link to an article written by the Daily Mail (UK) to see 14 photos I took of Tom Cruise.